Two people caught on camera breaking into the home of a Vietnam Veteran in Marlborough, Massachusetts, faced a judge Thursday morning. The Massachusetts man and woman accused of burglarizing a Vietnam veteran’s home while he was in the hospital faced a judge Thursday. 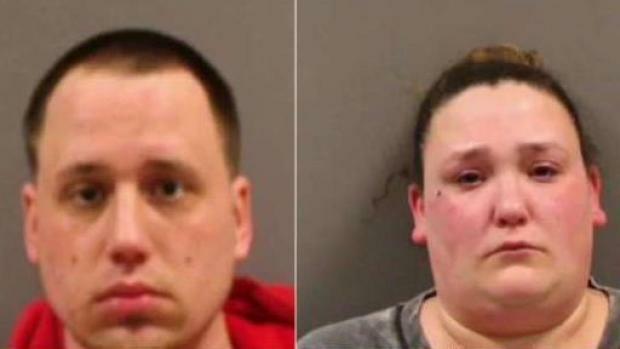 Sudbury residents Joseph Migiliaccio, 35, and Sarah Hampton, 31, were arraigned in Marlborough District Court on charges of larceny of a disabled person and breaking and entering in the daytime. They were released on $1,000 bail and ordered to stay away from the victim and his home. 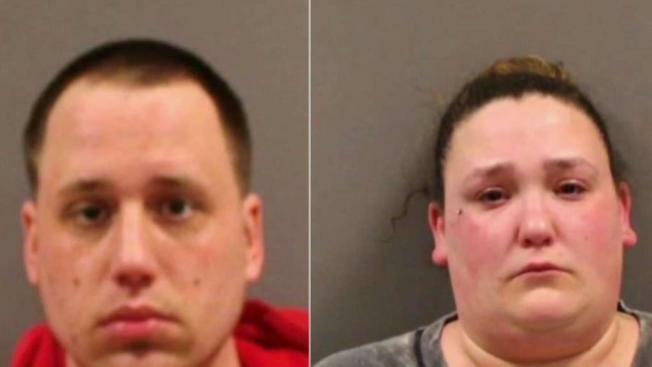 Migiliaccio and Hampton were arrested Wednesday after a home security video captured the duo taking a TV out of 68-year-old Gene Rano’s Marlborough home twice over the weekend. The footage will serve as key evidence of the burglary. Two people allegedly caught on camera burglarizing a hospitalized Vietnam veteran's home are due in court. In court, prosecutors said the pair admitted to breaking into the Lakeshore Drive home on Friday and Saturday because they needed money for surgery for their dogs. The victim’s son, Nick Rano, said outside of court that his father is confined to a wheelchair due to a stroke. He has been hospitalized since last week after hurting himself while buring leaves in his yard. "It's such a level of disgust and hate and anger and emotion that I have towards these people right now," he said. Nick Rano said he reviewed security footage and saw the theft on camera. He also said Migliaccio and Hampton were at his father’s house 10 days earlier, so he knew they were acquainted with the victim. Nick Rano believes the suspects knew his father was severely injured and used that information to ransack the home. Police were able to recover the stolen items from a Framingham pawn shop.